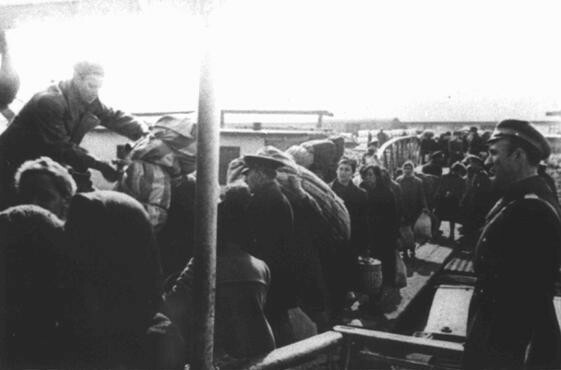 Jews forced to board a deportation ship in the Danube River port of Lom during deportations from Bulgarian-occupied territories. They were deported, through Vienna, to the Treblinka camp in German-occupied Poland. Lom, Bulgaria, March 1943.